Imagine for a second that I am your financial planner trying to sell you my latest low-fee mutual fund that will help achieve your dream of financial freedom! Except this time, I am going to be completely unbiased and transparent about the risks, fees, and returns that are inherent with this type of investment. Let’s see how well it goes. Hey buddy! Thanks for taking the time to sit with me to hear about our hottest new mutual fund that is finally going to give you the financial freedom you desire. Awesome, hit me with it! This latest fund is a batch of about 50 very well selected stocks that we believe are about to pop! Our asset management division has selected these stocks because they believe they will outperform the market and protect your investment. That sounds great but can you give me some information about the chances that the fund actually beats the market? Investor: Yikes! 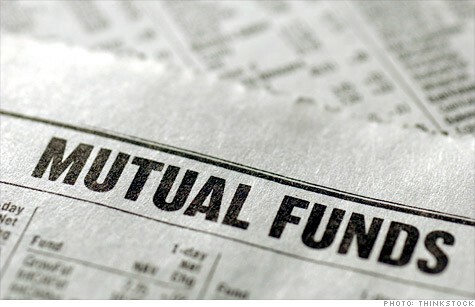 96% of all mutual funds will not even beat investing in a generic index fund? It sounds like my chances are against me here. How does the financial structure of the mutual fund work? You will need to put up all of your own cash and assume all of the risk for this investment. We are only going to be taking a small 1-2% management fee each year that the fund is managed. I guess the management fee doesn’t sound too bad. What do these fees add up to when my mutual fund matures after 10 years. Hmm… I think I’m going to have to pass. Unfortunately, these are FACTS, not fiction! The mutual fund industry is costing investors billions (if not trillions) of wealth each year and we hope you take this blog as a wake-up call to steer clear from them. The idea behind getting rich by picking the right mutual funds is as likely winning it big in the casino, but it happens right… right? Look, when you have thousands of people guessing where the market is going to go, their answers will be all over the map. Up, down, the same you name it. The thing is, the market will go somewhere, and some of those people will be correct, just by pure chance. Even the 4% of the mutual funds that are actually succeeding are constantly changing, and a lot of the success may be due to luck. After all of this, you still have to deal with the fees which soak up most of your potential earnings. Even if the fund doesn’t perform well. So what does all this mean and what do we think? We suggest that you steer clear of investing in mutual funds and find a way to ownership if you want financial success. Nobody gets rich by becoming a passive investor anymore. The old adages about investing do not respect the current economy we live in. So stop being a passive investor, become an active investor! Go the path less travelled and manage a business, purchase a controlling interest in a small business, or joint venture with a partner on a new business or real estate venture. If you are worried that you don’t have millions in the bank to start, you shouldn’t be. Don’t concern yourself with what big investors have, concern yourself with what you have and how you can grow. If you take ownership of a business venture and invest a huge amount of your time this can lead to huge amounts of wealth If you play your cards right.